While I do love a charming fiction picture book, I often gravitate toward beautiful biographical picture books or picture books that help explain a variety of ideas in ways that help kids engage with the concepts. My shelves are abundently loaded with picture books about science, art, music, history, geography, bible, and math. I’m always on the lookout for new titles to add to my collection. 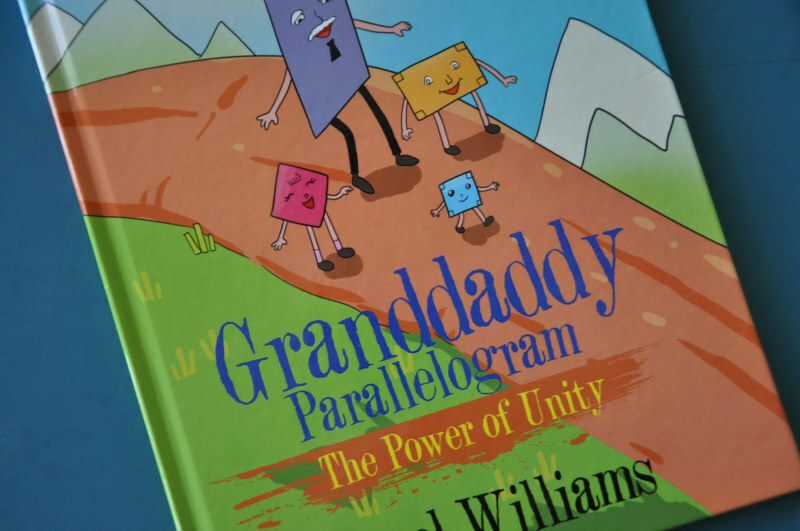 Granddaddy Parallelogram is a picture book introduction to parallelograms, rhombuses, rectangles, right angles, and perpendicular diagonals. The illustrations are bright and simple. Geometry was not my strong suit in high school, and I learned a thing or two from this one! The story is silly and appeals to my six year old. I found her reading it in bed, way past her bedtime. 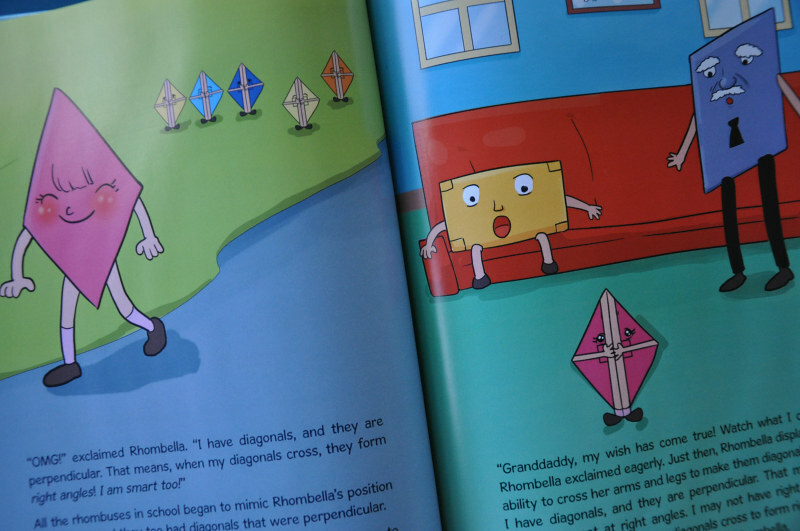 The author invented a clever way to show that rhomuses have perpendicular diagonals which make right angles. Parents and teachers will appreciate the full page of tips and interactive ideas at the end of the book, including discussion questions, activities, and helpful explanations. The book also includes a page of math vocabulary and definitions. Reading the book aloud, I found some of the conversation awkward. The main character has an eight syllable name. Paired with all the synonyms for “said” (interjected, suggested, grumbled, asserted, assured, pronounced), this was quite a mouthful. Also, some parents may not appreciate the sibling squabbling or school atmosphere (friends laughing and pointing when the rhombus trips and falls), though kids will likely relate! I’m looking forward to trying some of the math activity suggestions with Lola. if the author is wanting more feedback for editing, I have to admit the OMG would put me off. Maybe it's a cultural difference? but here in Australia that is a shorthand for a blasphemy.